John T. Scanlon is a shareholder with The Scanlon Group Co., L.P.A. He represents injury victims in cases involving automobile, motorcycle, and truck collisions; defective products; workplace injuries; uninsured and underinsured motorist claims; and medical negligence. Throughout his 20-year career, John has handled a variety of personal injury cases, including automobile collisions, wrongful death cases and injuries stemming from medical negligence including nursing home neglect. He has spent his entire career representing injured individuals and obtaining just-deserved compensation from insurance companies. John has lectured at seminars for the Ohio State Bar Association, the University of Akron School of Law, the Akron Bar Association, and the Ohio Judicial College. 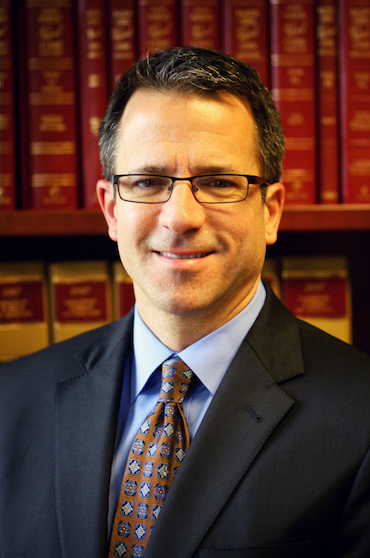 John has served on the Board of Governors for the Akron Bar Foundation, the Board of Trustees for the Akron Bar Association, and is past president of the Summit County Trial Lawyers Association. John is a life member of The Million Dollar Advocates Forum. The Million Dollar Advocates Forum is recognized as one of the most prestigious groups of trial lawyers in the United States. Membership is limited to attorneys who have won million and multi-million dollar verdicts, awards and settlements. Fewer than 1% of U.S. lawyers are members. In 2015, the Lawyers of Distinction certified John as a member. The Lawyers of Distinction is recognized as the fastest growing community of distinguished lawyers in the United States. Members are accepted based upon objective evaluation of an attorney’s qualifications, license, reputation, experience, and disciplinary history, a distinction limited to the top 10% of attorneys in the United States.